We are not a property management company but rather we book for well respected, honest companies here in the Walt Disney Area. 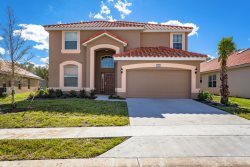 You can be sure you are in the very best hands with Orlando Vacation Rental Services or Florida Gold Vacation Rentals. Our main office is in NY where we head operations. Mooresville, NC is where our Reservations department heads. If you'd like to discuss any of our homes or have a question please feel free to call or email us.